Today, I read an article about Big Brain and I am very excited about this study. The scientists created 3D of the brain in 10 years! But this is not such a brain mould. It is the most detailed 3D brain (80 billion neurons) so far and they benefited from a 65 year old woman brain. This study helped me to remember the book Improbable by Adam Fawer. I read that book when I was undergraduate and I was so excited about one thought about probability. As far as I remember (spoiler =) ), he states that if we know everything about the factors, then we will know the outcome of the event. I guess, he gives an example of coin toss. 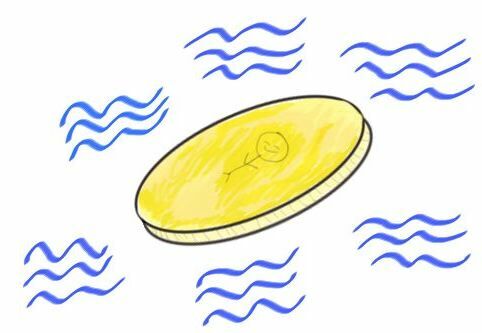 If we know the force of throwing the coin, the wind, gravity and all other factors affecting the fall, then we will be sure about which face of the coin will appear. In Big Brain case, the scientists detail every single neuron at their study to understand the function of the brain. Whenever they detail more, it seems they will know better and better about one of the most amazing thing about human body.